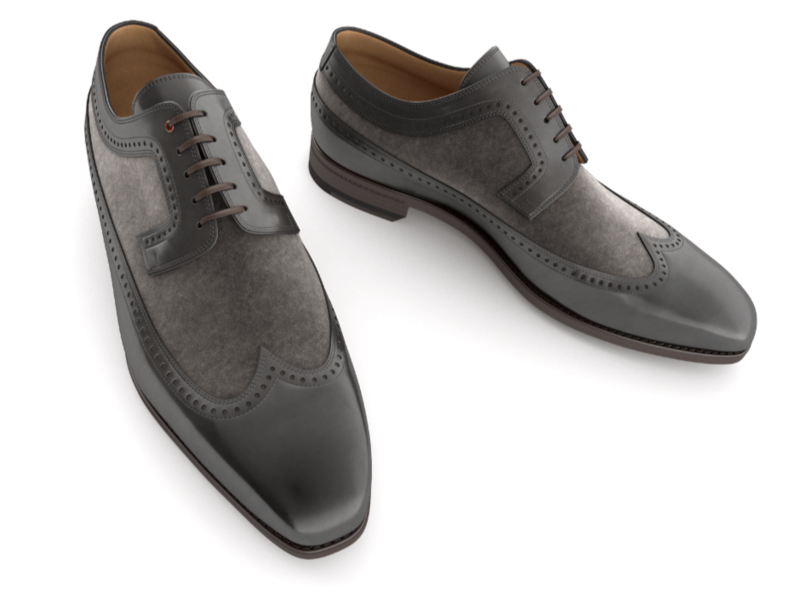 This Derby model is a 5-eyelet lace-up with an elegant wing tip. The rich full-brogue model makes this hand painted calfskin and suede shoe unique. Built with a Goodyear welt and completed with a leather sole. 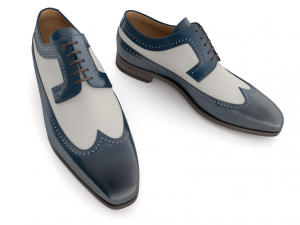 Also available in hand painted calfskin and canvas, without the perforations, a version which gives this model a more casual and modern look , appropriate for warm weather climates. Shipments are made by DHL courier from Monday to Friday from 8.30 am to 7.00 pm. If the recipient is not present at the time of delivery, 3 delivery attempts will be made to the address entered in the order form. If the product is not immediately available, it will take 4-5 weeks after the order is confirmed. The order is finally confirmed upon receipt of the payment and following the respective confirmation by email from the email address of order@mariobemer.com. The right of withdrawal (return) may be exercised within 14 days of receipt of the goods by sending notification to Bairon Srl at the address: customercare@mariobemer.com. Bairon Srl will reimburse the customer the full amount already paid, net of shipping costs, within 14 days of the date of product return. The product must be returned intact, with the original labels and with an accurate packaging in order to preserve the original packaging. Any product you return must be in the same condition you received it and in the original packaging. Please keep the receipt. For more information on returns and shipments, as well as advice about products and site navigation, please visit our CUSTOMER CARE section or contact our Customer Care at (+39) 055 217166 – (+39) 327 2031468 – or us send an email to customercare@mariobemer.com. 9:00am -1:00pm/ 2:30 pm-6:00pm (Rome / Paris / Berlin time: GMT +1).